WASHINGTON — President Trump is considering pulling out of a major trade agreement with South Korea as he tries to fulfill get-tough campaign pledges on international trade, but he has not yet made a final decision, two senior administration officials said Saturday. 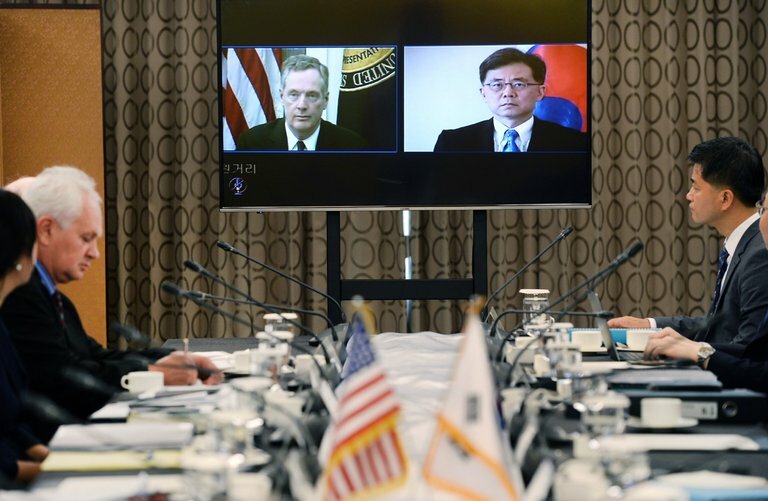 The president’s top economic advisers remain deeply divided over a possible withdrawal from the United States-Korea Free Trade Agreement, as negotiators from both countries struggle to rewrite the five-year-old deal. The debate comes as the United States and South Korea are working together to try to combat a growing nuclear threat from North Korea. A version of this article appears in print on September 3, 2017, on Page A11 of the New York edition with the headline: Trump Is Mulling Exit From a Trade Pact With South Korea.